(ZURICH / SWITZERLAND) The Swedish-Swiss multinational ABB has announced it would review its Malaysia business in a meeting with NGOs held yesterday in Zurich. The power technology provider has been heavily criticized for its involvement in the controversial Murum dam project in the Malaysian state of Sarawak. ABB disclosed to a delegation of Sarawak’s Save Rivers network and the Bruno Manser Fund (BMF) that it had provided components worth USD 6 million for the distribution of electricity produced by the 944 MW Murum dam in Sarawak. The components comprise a generator circuit breaker, a static excitation system, a scadar system (monitoring distribution system), switch boards and other small components. The recently completed Murum dam is the first of a series of twelve dams planned by the state-owned Malaysian power provider, Sarawak Energy. The dams would displace tens of thousands of indigenous people and flood hundreds of square miles of rainforests. The construction of the Murum dam displaced 1500 indigenous people who resisted their forced resettlement with blockades of the construction site. The Social and Environmental Impact Assessment (SEIA) was only published when the dam was 80% completed and had no impact whatsoever on the dam design. "It is clear that, with its involvement in the Murum project, ABB breached its own human rights and sustainability policies", BMF director Lukas Straumann said. "We demand an apology from ABB and an indemnization of USD 1.5 million for the affected indigenous communities." Peter Kallang, Chairman of Save Rivers, said: "ABB will have to face the consequences of its involvement in the Sarawak dams programme." Last March, BMF handed a petition to ABB, signed by 65,000 people, which demanded the multinational’s withdrawal from Sarawak. ABB announced it would take the indigenous communities’ concerns seriously. According to a company spokesperson, it has no active business relationship with Sarawak Energy. 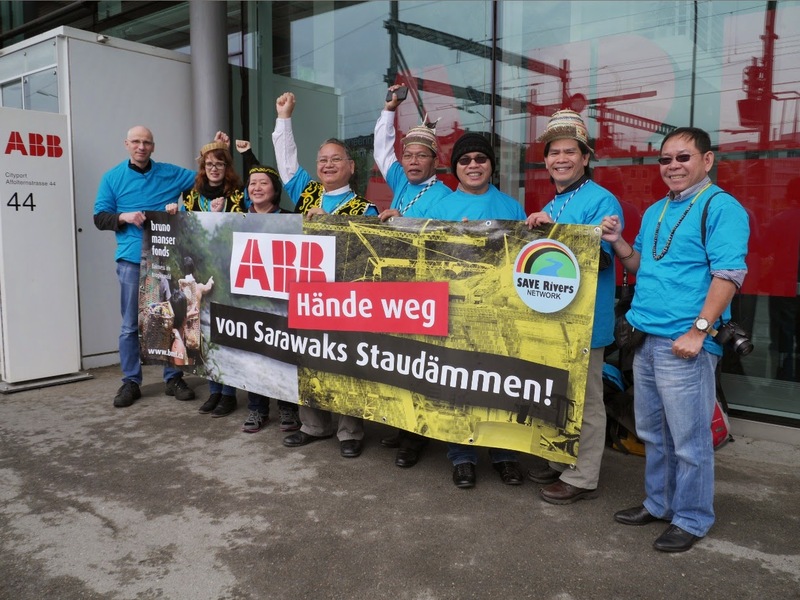 The meeting with ABB was part of Save Rivers’ Europe trip which aims at highlighting human rights violations in Sarawak’s dam building programme. Next week, the trip will take the indigenous campaigners to Norway, the home country of Sarawak Energy CEO, Torstein Dale Sjøtveit. PR Blunder By Norway’s Norconsult? What In The Devil’s Going On In Tasmania? One-race rule: Pipe dream or unavoidable reality?